As the end of 2012 is approaching fast, it may also be a good time to look ahead to the next general election which is only 2 years away. The most interesting issue since the start of the coalition government has certainly been the steady decline of the LibDems. In a way, this was predictable. Having been in opposition for more than 80s years, the party had become used to play all the cards at the same time. Life in opposition was not just comfortable, it also shielded them from difficult truths and some of the LibDems were masters in avoiding difficult decisions. The peculiar political constellation in the UK with two dominant parties and practically no fourth political party worthy of the name, afforded the LibDems a dual role, straddling parts of the political spectrum that had little in common. On one side, LibDems served as the repository of disenchanted Labour voters with strong left leaning tendencies. On the other hand, the party also accommodated more libertarian views and an economic liberalism usually only found amongst (liberal) Conservatives. This dual role was never going to be sustainable once the LibDems entered government and it was the (more centrist) convictions of Clegg and the LibDem leadership which carried the day. The left leaning wing of the party was horrified by the decision to enter a coalition government with the Conservatives and most of those voters (and some activists) moved back into the Labour fold. But what does that mean for the future? Given that the LibDems share some of the responsibility for the welfare reforms and the austerity budgets in the last two years, it is hard to see how Clegg and his wing of the party can perform another u-turn and enter a coalition with Labour in 2015. In a sense then, the transformation of the LibDems into a centre party with strong preferences for economic liberalism is complete. The reflects a fundamental shift in the leadership of the party as well. Market-orientated economic liberalism is probably were Clegg's heart is. It leaves the political spectrum in a fascinating bind. Although there is the theoretical possibility of a Lib-Lab coalition, chances are this is not going to happen. If neither of the two large parties achieve a majority in 2015, the only option is a minority government of Labour or Tories (whoever has the largest number of seats in the House of Commons) or another version of the Con-Lib government. Currently the decline of the LibDems leaves Labour in the fortunate position to enjoy a boost in the opinion polls. Yet their glee at the demise of the LibDems is premature. Their own increased popularity is only because those LibDem voters who were quite close to Labour have now migrated back to it. To continue to attract them, Labour however needs to keep articulating a left-leaning agenda which in turn will repel those voters in the centre of the spectrum without whom Labour cannot win the next election. Of course, politics is never just a strategic game, but rather a question of tactics. Much of what shapes the political debate today, is probably forgotten when voters will finally make their way to the polling booths in 2015. Yet the political constellation poses a challenge not just to LibDems but to Labour as well. For months now The Guardian has run a hostile campaign against the NHS reforms introduced by (former) Health Secretary Andrew Lansley. However, some dissenting voices are now emerging. In an opinion piece two days ago, the Guardian commentator Ian Birrell admonishes critics of NHS reforms that their caricature of the changes in the English NHS risks missing the most important point: the NHS was established in different times to tackle different problems. If it does not change, it will fail to address the new challenges to provide health care to millions in the UK. Birrell argues that the main difference between the original NHS and any health care provider in the 21 century is not whether or not services are supplied by private or public organisations. Rather, the main difference lies in the problem it faces. At its inception, the NHS was to tackle infant mortality and infectious diseases. To do this, the newly formed NHS board embarked on a large scale hospital building programme that lasted into the 1980s. Hospitalisation of patients was thought to be the most appropriate care. The programme had some success as the health of communities across the UK improved significantly. However, it also created monster organisations that were difficult to steer. Change in order to address new health problems was practically impossible to introduce, and staff morale dropped markedly due to scandals of mistreatment of patients. Despite the claim that the NHS was 'centrally controlled', it was was in fact a supertanker without a skipper. Repeatedly, politicians tried to force the NHS to be more susceptible to steering by forming organisational sub-divisions, such as local boards (Wales for example has a long history of re-organisations of NHS health boards, their number ranging at some point from 22 to now 7). Exasperated by the resistance of the NHS to respond to the need for change, Tony Blair's government then practically sliced off large parts of the service into semi-private providers, NHS foundation hospitals, that were operating free from central control. Andrew Lansley's reforms were only the logical extension of the reforms introduced by the previous government: devolving the main bulk of the NHS budget to GPs operating in the communities and commissioning the services they need for their patients. Critics are scathing about the alleged privatisation of the NHS. But, as Birrell argues, this misses the point. The NHS will remain free at the point of use. GPs have always been private contractors, ever since Aneurin Bevan decided to buy their approval to the introduction of the NHS by 'stuffing their mouths with gold'. What has changed however is that the location of care has shifted from hospitals to communities. While some surgical procedures will always require hospitalisation, most after-care is best delivered for patients in the communities. This is not just a question of cost. It is above all an issue about the quality of care. It matters little whether a public or private organisation offers this care. Wales abandoned school league tables in 2001. In England the government continued to collect data about school performance and kept publishing school league tables. Whilst league tables are controversial, there is however clear evidence of the effect school league tables have on school performance. In a study conducted by Bristol University, researchers found incontrovertible evidence that the abolition of league tables in Wales cost pupils dearly. 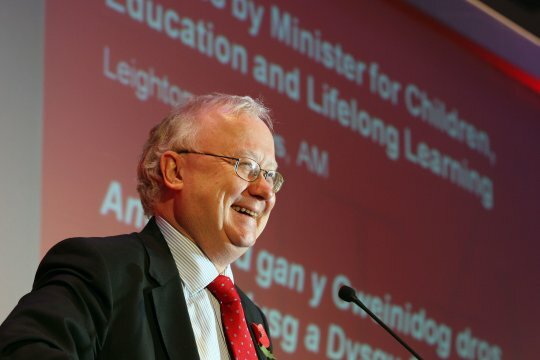 Welsh school performance deteriorated sharply after 2001, the year the Welsh Labour government decided to cease publishing data on school performance. The current Welsh Education Minister Leighton Andrews has recently decided to re-introduce a rudimentary form of school league tables after a hiatus of more than 10 years. Schools will now be grouped into performance 'bands', indicating how well they do in teaching their pupils. It would be easy to see this as a lesson in another failed Welsh Labour policy pleasing the teaching unions, but this would miss the point. What Welsh Labour was uncomfortable with in school league table was to provide more transparency in public services, and, in effect, more choice to parents. Labour in Wales still stubbornly resists the 'choice agenda', although, ironically, it was Tony Blair who formulated the basic principles of choice in public services during 'New Labour'. The lesson is therefore not one about whether or not to listen to vested interests, such as the teaching unions. The real lesson is one about the futility to govern a modern society without giving people who use public services choices about those services, be they in the health, social care or education sector. The chairman of the Public Accounts Committee, Margaret Hodge, has been at the forefront of the fight against tax evasion by large companies in the UK. She delivered a strong public condemnation of the tax affairs of Google, Starbucks and Amazon when the committee questioned some executive members of those companies publicly in November. It turns out that Hodge's outrage at tax evasion was driven by guilt rather than anything else. Hodge's own family company Stemcor has only paid £175,000 in corporation tax on an annual turnover of £2.1billion (yes, 2.1billion pounds). Stemcor is based in the UK and one of the world's largest companies. It is owned by her brother. Hodge is a shareholder of the company. She has now announced that she would sue anybody who repeats the claim that Stemcor is avoiding taxes. She would have to start with Companies House where the filed accounts of her family's company clearly show that Stemcor has paid only 0.01 percent in corporation tax. That is even less than Google, Amazon or Starbucks. Hodge is no stranger to scandal. As a councillor for Islington she heaped verbal abuse on a victim of paedophilia and called him an 'extremely disturbed' individual. She later apologised. As a councillor she presided over the cover up of the Care Home scandal in Islington in the 1980s. Inexplicably, given her invidious role in the scandal, she was later made Children's Minister under Tony Blair. The reason for this appointment may lie in her roots. 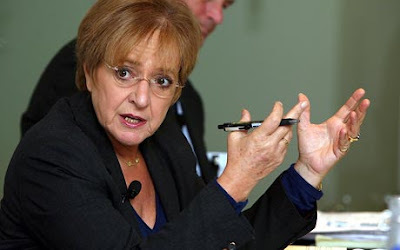 Margaret Hodge was born Margaret Oppenheimer. She belongs to one of the richest and best connected Jewish families in the world. Tony Blair may just have been loath to lose her, given that there is always a life after politics. The consensus around the Leveson report is falling apart at breathtaking speed. While the Prime Minister once quipped that he would implement it in full unless it was 'bonkers', and the leader of the opposition did not even feel the need to read the report before he made a commitment to fully implement it, the critics of Leveson's recommendation to introduce statutory regulation of the press are becoming more vocal and there are surprising alliances emerging. The latest critical voice is that of Shami Chakrabarti, the human rights campaigner. She said in an interview with the Mail on Sunday that Leveson's recommendations may breach the human rights act. The irony of an alliance between David Cameron and Shami Chakrabarti converging on the territory of the human rights act may raise some eyebrows amongst Conservatives. But her view is well articulated and convincing. In essence, she maintains that a free press cannot be submitted to statutory regulation when other media outlets are not. David Aaronovitch has recently voiced another concern. On Andrew Neill's Daily Politics he argued that Leveson was wrong to accord so much importance to the victims of press intrusion. While it is right to recognise the harm some journalists have inflicted on some members of the public, it was wrong to design a system of press regulation that only addressed the elements of journalistic activity that was wrong. Basing press regulation on the sentiments of the victims only was like asking a victim of medical malpractice to rewrite surgical procedure (my paraphrasing). 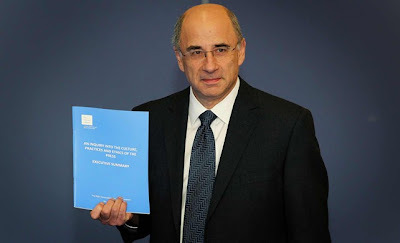 The chances that Leveson will be implemented are becoming more distant by the day, and that may be a good thing. While it is important that the victims of press intrusion are listened to, they may be bad advocates of any future regulatory system. Not to mention that Leveson seems to have disregarded the main challenge to any press regulation in the modern era: the fast and irreversible descend of national print media into irrelevance in the age of blogging and twittering. Despite the sheer volume of the report, Leveson may just have gotten the balance wrong and his report may therefore just gather dust on the shelves. It may be small comfort to him that he shares this fate with countless other reports of the past. Britain does however need an effective system to address press intrusion and professional misdemeanors and let's hope that the industry itself will act swiftly. An extract of an ill-tempered interview between Julien Assange and the BBC journalist Zeinab Badawi has turned on the BBC website. Assange is still holed up in the Ecuadorian Embassy because he skipped bail. He was to be extradited to Sweden for charges on sexual assault but refuses to face his accusers. In the interview he accused BBC journalist Badawi of supporting torture, amongst other non-sensical accusations. His outburst is a window into his thinking and the fact that he has a very rudimentary understanding of journalism itself. Following accusations of Assange that Bradley Manning had been tortured and was not allowed to see a lawyer, Badawi attempted to mention that this interpretation is contested by the US government and that Manning’s lawyer has in fact confirmed that he has visited him repeatedly. At that point Assange exploded in sheer rage and accused the BBC of bias for not supporting his view. This is instructive. For Assange, journalists are only fair and impartial if they agree with his point of view. Any other view is illegitimate and demonstrates tendentiousness. It is final proof of what many have suspected for a long time. Assange has a very limited understanding of good journalism and he often struggles to tolerate other views. This somehow neatly lines up with his political belief that America is evil incarnate. By now, Assange is on the payroll of the Russian state TV and perhaps we shouldn’t be surprised that this is where Wikileaks ended up. A famous Communist once said that freedom is always the freedom of those thinking different. Assange may never accept that.